Knopf Publishing Group, 9780385352413, 337pp. Meanwhile, he befriends a brilliant, Internet-addled street kid with a comic-book fixation who will need a new home when the island dies. When Mancreu's fragile society erupts in violence, Lester must be more than just an observer: he has no choice but to rediscover the man of action he once was, and find out what kind of hero the island and the boy will need. 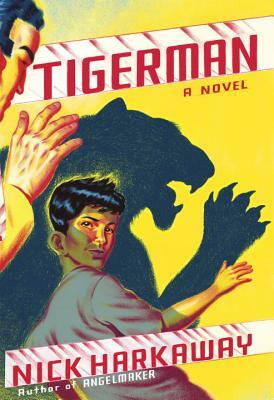 From the award-winning author of Angelmaker and The Gone-Away World, Tigerman is a novel at once deeply heartfelt and headlong thrilling about parenthood, friendship and secret identities, about heroes of both the super and the everyday kind. Nick Harkaway is the author of two previous novels, The Gone-Away World and Angelmaker, and a nonfiction work about digital culture, The Blind Giant: Being Human in a Digital World. He is also a regular blogger for The Bookseller s FutureBook website. He lives in London with his wife, a human rights lawyer, and their two children."